Home style family meals are easier to make and just as delicious when prepared in a microwave instead of a conventional oven. With dozens of helpful hints and hundreds of easy to follow recipes, author Carolyn Kruse encourages home cooks to make the best use of their microwaves. 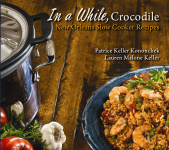 From quick, hot appetizers readied in minutes for unexpected guests to dinner cassseroles to easy-as-pie desserts, the recipes in Home Style Microwave Cooking are economical crowd-pleasers. Try such party favorites as Barbecued Meatballs, Nachos, and Chili Cheese Dip. Tempt your family with Hearty Vegetable Beef Soup, Cheese Scalloped Potatoes, Spaghetti in a Pie, and Chicken Cashew Casserole. Cakes, pies, cookies, and cobblers are all twice as easy to make in a microwave. Try Chocolate Chip Squares, Marvelous Marble Cheesecake, and Peanut Butter Pie. Guidelines for cooking times and a list of necessary utensils for the microwave chef are also provided. In addition, pages of tips include advice on everything from drying bread crumbs to softening ice cream. 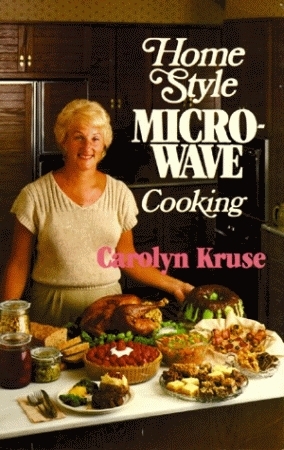 Author Carolyn Kruse received her BS in home economics from Oregon State University. She has taught home economics and related courses since 1968. Home Style Microwave Cooking is a result of her years of teaching and cooking experience.